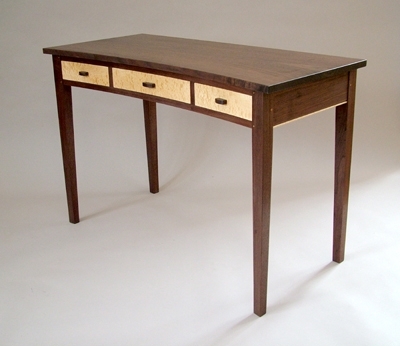 I would like to build a solid walnut desk. I would like the desk to be able to break down into pieces so that one person could move it and so that I could get it into tight spaces (like upstairs) to set up in upstair rooms. Without a big gymnastics act with 2 or 3 guys scraping the sheet rock and paint and busting light fixtures lol. I know the cheesy particle board desks have those locking mechanisms you use a Phillips head screw driver to put together. 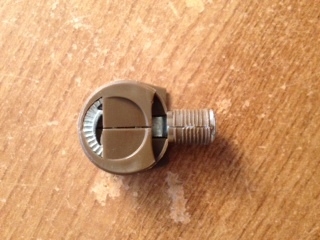 Are there locking mechinisms similar to these (but much beefier with a hand lever) that can be installed say on a 4x4 solid walnut post so the legs of the desk could be latched on to the main deck of the desk. 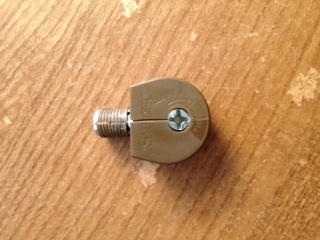 The main desk would have a screwed on metal disk that a metal peg could be screwed into to interlock with the turning mechanism in the post. I was thinking about using magnets but those could interfere with any electronics placed on the desk. As big of a pain furniture is to move I would think something like this would be sold everywhere. I contacted a furniture builder in the area and he wanted 2500 to build a walnut desk but he also did not have any locking mechanisms and when I called to price the wood, I found out walnut is expensive but not 2500 expensive. My step dad has a full wood working shop but not a CNC machine so I was going to see if I could try my hand at it. If I had to have the mechanism special made that would be a 5 axis metal CNC which there is one in my area but its VERY expensive to have anything done on such a machine (I have called and got quotes lol). I could get a copy of solid works and do it but im hoping there is something commercially available. Does anyone here know how much 3d metal printers cost and what the brand names are? 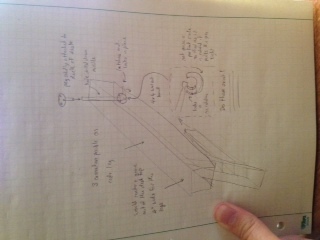 Then I could just build the parts on solid works and print them off, take them down to the shop and install them lol. What sort of desk would you like? would you like one with a couple drawers and 4 legs? For this desk you can simply detach the legs with wing nuts and take the upper section and the legs separately. I personally don't like using metal fasteners unless its absolutely needed, but these would be hidden underneath the top, and it could be broken down and rebuilt pretty easily. Or would you want something with drawers on either side like this? 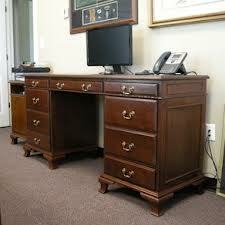 For this desk you can build the two drawer units on both sides, then attach the top of the desk over the drawer units. When moving the desk, all you would need to do is detach the top from the drawer units, then move each section to the new place and reassembled. Whichever one you choose, it can still be built using a modular design that can be broken down and transferred to another place easily. I also don't think you need any special hardware that is designed for knock down furniture. Any one of these desks can be put together using ordinary bolts and screws which are plentiful and inexpensive. Only made of walnut where the legs completely deattach and reattach without any wear on the wood.